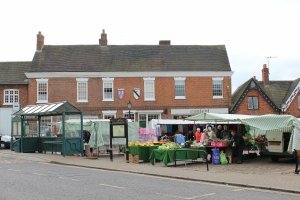 The right to hold a market in Market Bosworth goes back many years to when a Charter was granted to the Dixie family. Today the market operates every Wednesday with a variety of stalls selling fruit, vegetables, clothing, fish, fabric, plants and other items. On the fourth Sunday of every month there is also a Farmers' Market.